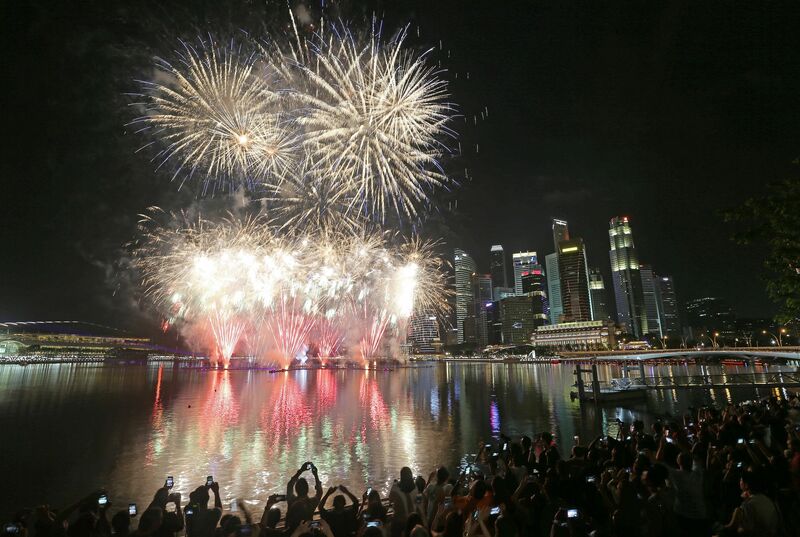 SINGAPORE - When it comes to ushering in the new year, the fireworks extravaganza that is part of the Marina Bay Singapore Countdown, set against the picturesque city skyline, is traditionally the biggest show in town. And whether you are using your phone or a DSLR camera, it is also one of the most Instagram-worthy sights you can capture on New Year's Eve. While you can splurge and take pictures from a hotel or from sky-high rides like the Singapore Flyer or in cable cars, there are other spots where you can catch and capture this year's seven-minute-long fireworks display - without having to pay a single cent. The Straits Times picks six prime spots to head for. If you do not mind the crowds, and are willing to wait hours to get a good spot, the Esplanade's waterfront area is as close to the fireworks as you can get. And as a bonus, you can enjoy live music by acts such as Bloco Singapura performing at the Esplanade Outdoor Theatre. Photographer and former Straits Times photojournalist Seah Kwang Peng, 40, says: "This location is quite near to the fireworks so you would need an ultra-wide angle lens probably at 14mm, so as to include some elements in the foreground as well as the city skyline beside the fireworks." "To get the crowd in the foreground, one has to be on a higher level. If you are at the edge nearest to the water, you can try for a reflection of the fireworks off the water. Go very early to 'chope' a good spot as trees, branches and lampposts might be in the way." The common corridor on the 24th floor of the flat above Bras Basah Complex offers elevated views of Marina Bay. It is an HDB block, so it is advisable to be discreet if you plan to take photos there so as not to disturb the residents. 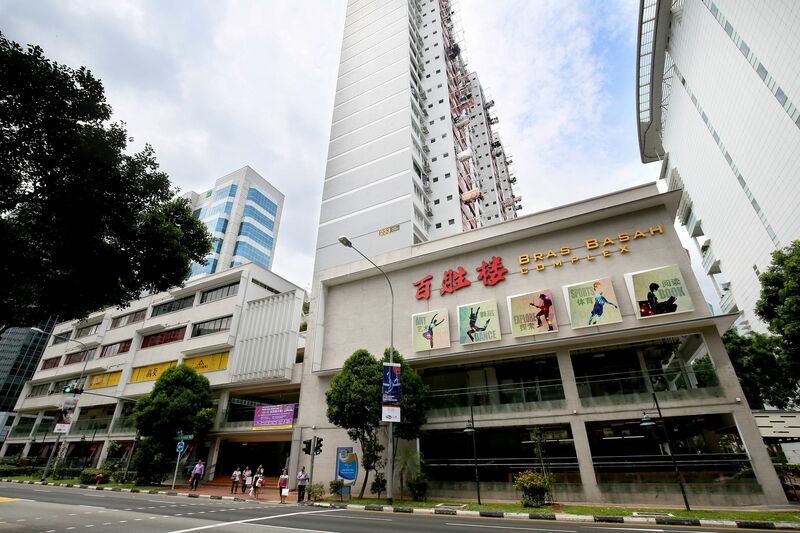 That said, they are known to host parties and get-togethers during events such as the New Year countdown, National Day Parade and the Singapore Grand Prix. 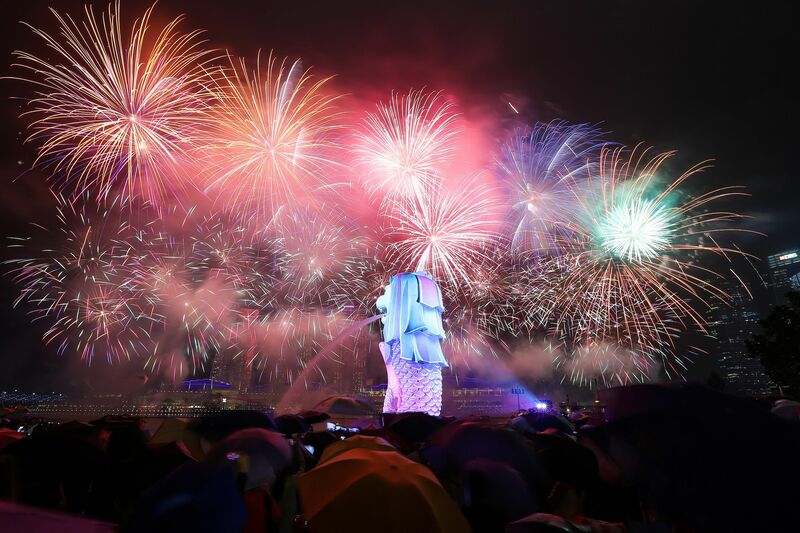 The Straits Times' executive photojournalist Ong Wee Jin, 35, says: "From Merlion Park, you can get a view of the Singapore's iconic Merlion and Marina Bay Sands juxtaposed with the spectacular night-time fireworks." The area will be packed with other photographers and there will be those who reserve spots with their camera tripods from as early as 7pm. The crowd is expected to be shoulder-to-shoulder dense. Another tip from Ong is check the weather forecast. "It rained last year so it pays to be prepared with a trusty umbrella or poncho." A mass of umbrellas can also make for an interesting photo composition. 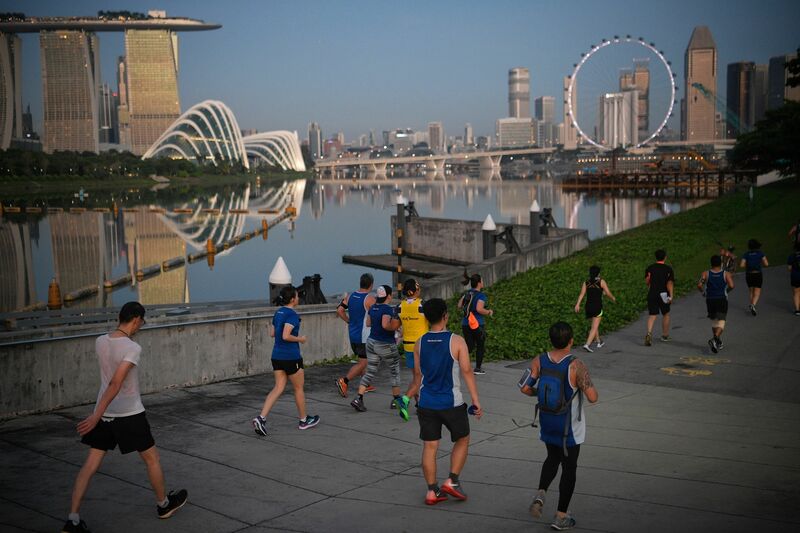 A popular place for cyclists, runners and nature lovers who hope to spot wild otters, this section of Gardens by the Bay offers a panoramic view of Marina Bay and its beautiful skyline. The site, also known as Bay East Garden, is popular with photographers so expect a crowd and go early to get a choice spot. It is a 20-minute walk from Bay South Garden via Marina Barrage. Bay East Garden also has a carpark. There will be a free concert at The Promontory featuring home-grown singers such as Taufik Batisah, Gentle Bones, Joanna Dong and Shabir and that area is also one of the best spots to shoot the fireworks. You can also aim for a reflection of the light show on the water. The open field is also ideal for a picnic, although you would have to get there early as the place is expected to draw a large crowd. You do not necessarily have to pay to go up to the Sands Skypark observation deck to get good photos of the fireworks. 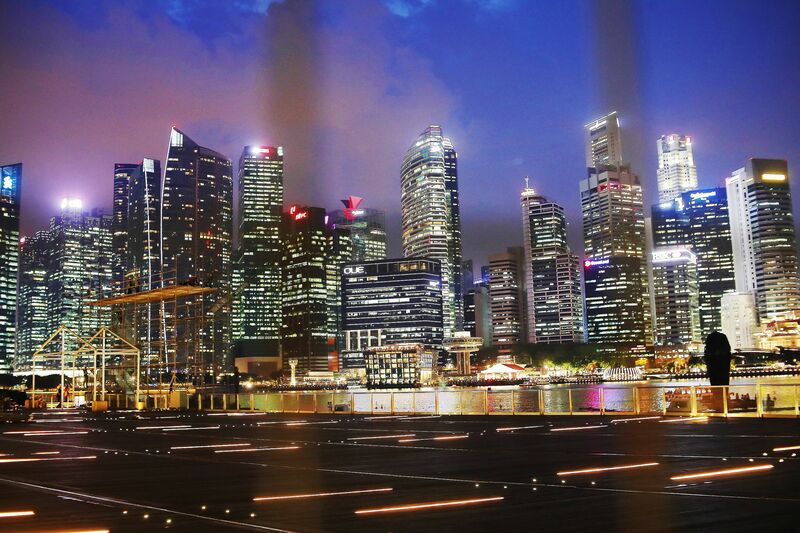 Choice spots such as the Marina Bay Sands Event Plaza and the area outside the ArtScience Museum are free. Although they are expected to be crowded, it is pretty much a front row seat to the fireworks show. And if you get a case of the munchies, there is a Food Truck Fest at the Event Plaza that operates until 1am, and thrill-seekers can also go on rides and play games at the Prudential Marina Bay Carnival at the Bayfront Event Space until 2am.